Colonel Voetelink is Associate Professor of Military Law at the Netherlands Defence Academy. Colonel Voetelink has previously served as a Ground Operations and Personnel Officer at Air Force units in Germany and the Netherlands. After completing Dutch law training, he served as a lawyer in various legal positions at the Royal Netherlands Air Staff. In 2012 he obtained his doctorate on this subject at the University of Amsterdam. In accordance with the principles of the rule of law, all military operations have to be carried out in full respect of national and international law. The growing focus on legal aspects of operations has paved the way for a practice referred to as lawfare: the use or misuse of law as a means of achieving military objectives. Although today misuse of law is a common tactic in asymmetric conflicts, it can be utilized in traditional warfare as well and can ultimately lead to a situation in which an opponent is denied ­effective use of its advanced sensors and weapon systems. The question then is, given the degradation of the operational systems, do we still have to comply with the law, in particular with the Law of Armed Conflict (LOAC)? Of course, the answer is clear and simple: even in a degraded environment, LOAC continues to apply in full and legal thresholds will not be lowered. Degradation may, however, impact the application of certain rules. This ­paper takes the rule of law as starting point for explaining the nexus of law and the conduct of military operations. It then focuses on the instrumental role of law and the practical use of LOAC in the targeting process. That one hurts, does it not? Let me put it in more simple terms: rule of law means that a state must enact laws and that the state itself, its government and officials, just as its citizens, are accountable under these laws. The concept of the rule of law is important to the armed forces as they are key state organs, tasked with providing security. In addition, many present-day crisis management operations even include rule of law elements tasking the participation forces to support the rule of law in the host state. E.g. in 2011 NATO established the NATO Rule of Law Field Support Mission (NROLFSM) in order to support rule of law activities in Afghanistan. In terms of the conduct of international military operations, the rule of law requires all military action to have an adequate legal basis under international law and, subsequently, that all activities are carried out in accordance with the law, e.g. LOAC and/or human rights law, depending on the type of operations. NATO operations are all carried out within this broad legal framework as is reflected in policy, as well as operational documents, such as the Oplan and Rules of Engagement, which, inter alia, further detail the legal aspects of a specific operation. Misuse of law to achieve a military objective is a common tactic in asymmetric warfare by weak or technologically less advanced parties to armed ­conflicts. Generally, they try to level the playing field by exploiting their opponent’s commitment to comply with LOAC. For example, they know their opponent will not easily attack a dwelling as he knows it is a protected object under LOAC and fears that even lawful destruction of that property and ­possibly ­civilian casualties may suggest he operates in total disregard of LOAC. Emerging technologies may offer new opportunities for equally advanced warring parties to leverage the LOAC in traditional warfare. For example, suppose a party to a conflict is capable of intercepting data received by and sent from their opponent’s surveillance or GPS satellites and, ­subsequently, can stealthily manipulate that information so that a ­protected object under LOAC, like a hospital or church, appears to be a genuine military target. It may cause the other party to refrain from using the satellites and other connected systems out of fear of being accused of deliberately breaking LOAC. Not all tactics and techniques that have the potential of degrading the ­opponent’s operational systems can be labeled as lawfare, of course. They may, however, seriously affect the ability to gather sufficient and detailed ­target information and to launch a precision attack. 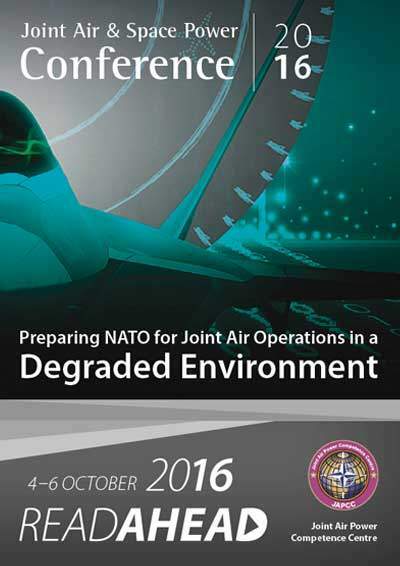 Today NATO’s whole ­targeting process explicitly builds on reliable information and precision-­guided munitions. LOAC is part and parcel of that process. This raises the question whether degradation of the operational systems lowers any legal thresholds. In other words, do we still have to comply with the full range of LOAC-rules when systems have become compromised to the point they are unreliable and cannot guarantee the object to be attacked is a lawful, military target? The starting point for answering this question is the knowledge that LOAC had been around for quite some time now and is built on well accepted, general principles, such as humanity, military necessity, distinction, and proportionality. Furthermore, the bulk of the conventional rules relating to the targeting process are set out in the 1949 Geneva Conventions and the 1977 Additional Protocols. So, even if degradation of our operational systems sets us back a couple of decades, the same set of rules continues to apply. The Falklands War (1982) and the Gulf War (1990–1991), for instance, were both fought within a legal framework that is not much different from the one that is applicable right now in the fight against ISIS. Of course, new conventions impacting air operations have been drafted, such as the 2008 Convention on Cluster Munitions, and customary law has further developed, but the ­targeting process at large is still governed by the same core principles and rules. In addition, it must be acknowledged that armed conflict is all about forceful submission of an opponent. It is inevitable that people perish in the course of wars, even innocent civilians. Something that is implicitly accepted in LOAC: there is no unconditional rule penalizing incidental death of civilians. Nevertheless, there is a clear distinction between the civilian population and combatants and between civilian objects and ­military objectives (the principle of distinction) and the civilian population and their property must be respected and protected at all times. As a consequence, they may never be the object of attack and parties to an armed conflict ‘shall direct their operations only against military objectives’ (Article 48, Additional Protocol I, the Basic Rule). This rule has been at the heart of our targeting process for decades. Although civilians cannot be the object of an attack, they can become victims of an attack directed at a military target. Under LOAC this is acceptable, but only to the extent it is proportional. Therefore, warring parties have to reduce collateral damage, which requires that an attack is cancelled if it is expected to cause civilian casualties or damage to civilian property which would be excessive in relation to the concrete and direct military advantage anticipated (principle of proportionality). This principle is the reason we conduct an elaborate proportionality analysis using the Collateral Damage Estimation methodology to reduce the likelihood of civilian casualties. It is clear that when technology fails us the risk of collateral damage will increase significantly. That does not necessarily mean attacks are forbidden on principle. The next step for a commander is to balance the potential collateral damage with mission accomplishment, or in legal terms: with the concrete and direct military advantage anticipated. A host of factors come into play, such as the availability of specific munitions, the type of conflict, weather condition, etc., which all have a different weight. As our armed forces are part of societies built on the rule of law we are, rightly so, extremely conscious of law in general and of LOAC in particular. That latter field of law obliges us to respect and protect civilian life and property even in times of armed conflict. Nevertheless, LOAC accepts collateral damage and incidental civilian casualties as long as it is not excessive. Since Operation Desert Storm, precision weapons have become widely available and are continuously being improved resulting in an ever decreasing number of civilian casualties. Protection of civilian life is paramount now to a degree it even seems unethical to accept any loss of civilian life. Opponent are exploiting that commitment, making military commanders as well as politicians even more reluctant to accept civilian casualties. System degradation will cause us to reconsider the whole question of proportionality within the existing legal framework, possibly resulting in a sharp rise of collateral damage. Although lawful, it may be hard to convey that message to the public. 1. UN Doc. S/2004/616, Report of the Secretary-General on the Rule of Law and Transitional Justice in Conflict and Post-Conflict Society. 2. Charles J. Dunlap, Jr., ‘Lawfare Today’, Yale Journal of International Affairs 2008, p. 146. 3. Joop Voetelink, EvBO: Evidence-Based Operations How to Remove the Bad Guys from the Battlefield, Journal of International Law of Peace and Armed Conflict 4/2013, p. 194–201 <papers.ssrn.com/sol3/papers.cfm?abstract_id=2400965>. 4. Frans P.B. Osinga & Mark P. Roorda, From Douhet to Drones, Air Warfare and the Evolution of Targeting, in: Targeting: The Challenges of Modern Warfare, Asser Press 2016, p. 42.